17 medals including hat-trick gold in B4-. 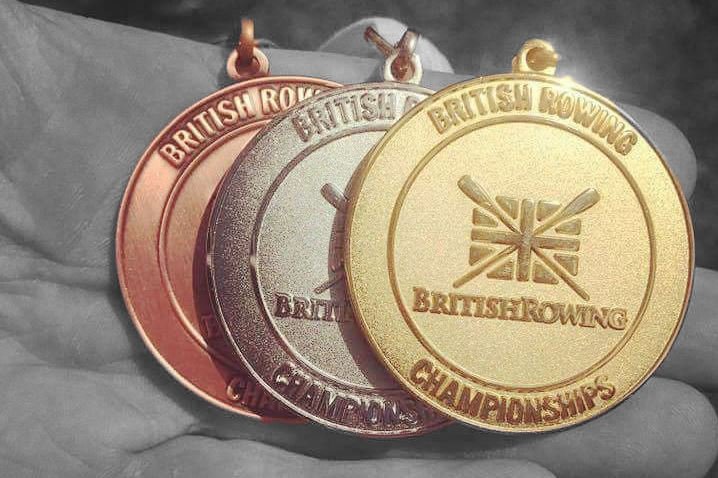 This year's British Rowing Masters Championships 2017 was full of surprise. The Masters squad for the first time in recent history rolled out sculling boats in the form of a B1x and B4x for day 1's championship sculling racing. With no expectations the squad was pleasantly surprised to medal in the 4x, picking up bronze and 0.55 seconds off silver, in a crew that had only had one prior outing in a 4x all year. There was also a 4th for Robbie Macfarlane in B1x with a time that would have won A1x by 4 seconds. On day 2's championship sweep racing the other surprises included London turning up to quash the significant improvement of the 8+ on last season, leading to another silver this year. Surprise for the 4- came in the shape of multiple tidal waves breaking over the boat - and crew - as the wind picked up significantly, being made to work hard for their gold in conditions suitable for coastal rowing. Final surprise of the day was the cancellation of the whole competition due to adverse conditions, with two of our crews not able to race. 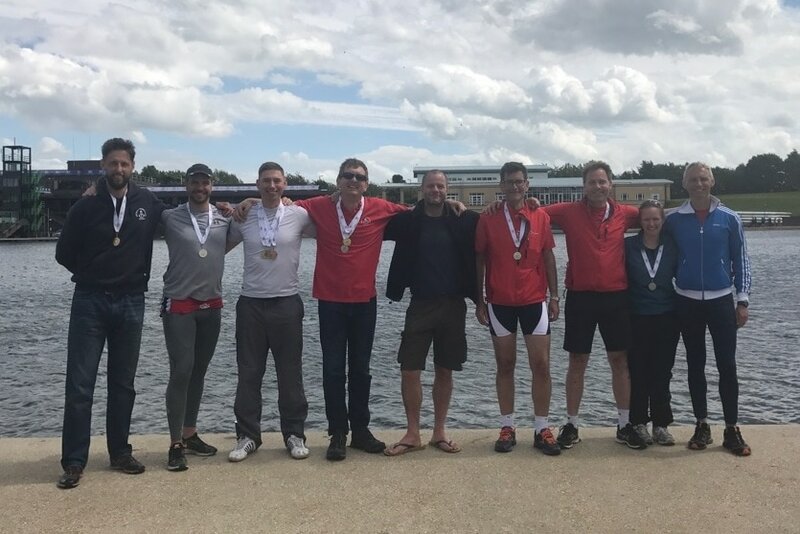 Masters Captain, James Harris: "Another strong squad performance; delighted with the increased medal rally off the back of the squad's marginal gains plan and reaching out to new events in sculling. Just disappointed for the men in C4+ and woman in A4-, both were on form to at least metal if not win their respective events."